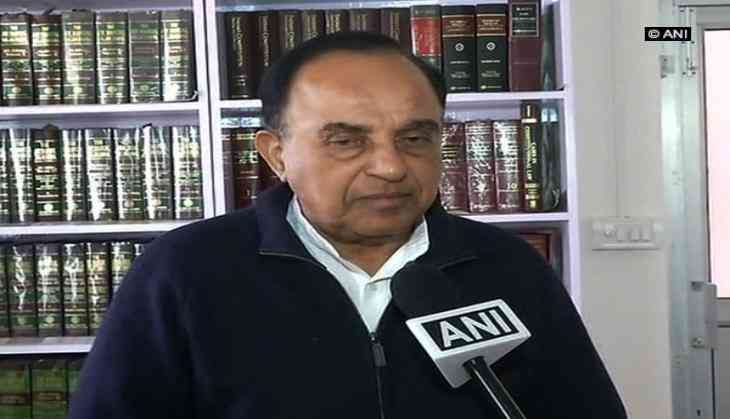 Welcoming the Enforcement Directorate for arresting two persons in connection with the Bikaner land scam case, Bharatiya Janata Party (BJP) leader Subramanian Swamy on 22 December said ED should also be transferred to the Prime Minister's Office till 2019. "Now I hope the PM will intervene because our own prestige for 2019 depends..All this talks about "khaunga nahi, Khane dunga nahi" all will fall back on us. Therefore I am very happy that clearance has come and I think that the ED should also be transferred to the Prime Minister's office till 2019 at least," he said. The ED today arrested Jaiprakash Bagarwa and Ashok Kumar under Prevention of Money Laundering Act (PMLA) in Rajasthan's land scam case">Bikaner land scam case. As per the ED, Ashok Kumar is a close associate of Mahesh Nagar of M/s Skylight Hospitality Pvt Ltd, which is linked to Congress leader Sonia Gandhi's son-in-law Robert Vadra. The Bikaner land scam is a land grabbing case, in which fraudsters in collusion with the state government officials got allotted land under the name of fictitious individuals, who were found to be non-existent. The land was actually earmarked for people who got displaced due to the setting up of Mahajan Field Firing Range.